Can you believe it's almost here? Thanksgiving is this week and I can't wait to sit down and eat with a fork and knife. Life gets so busy that I often eat food you can grab and go like tacos or sandwiches. So, I am anxious to have hot food that is served on a plate! In honor of this week's holiday I pulled out some fall tones to stamp a watercolor card to say "hello." For this technique I stamped images in Calypso Coral, Crushed Curry, and Wild Wasabi on Watercolor Paper. 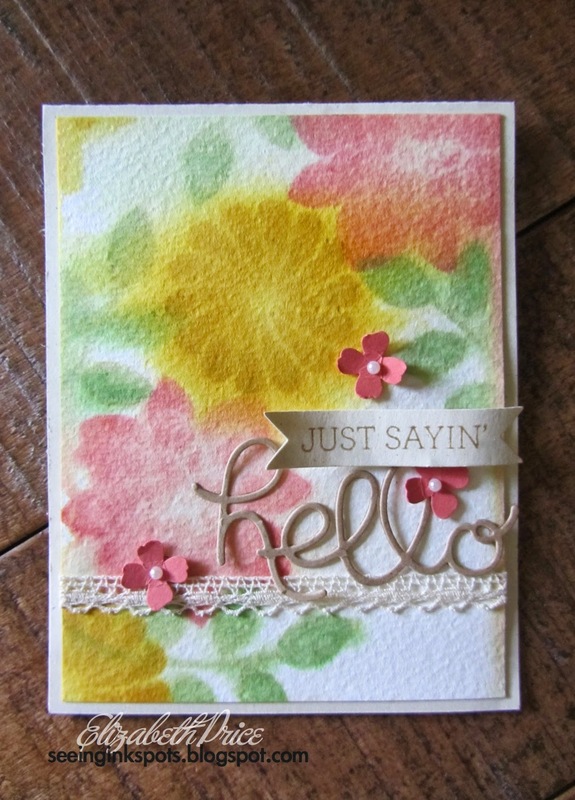 Then with a Stampin' Mini Mister filled with water I squirt the images just enough to get the ink to wick and blend. 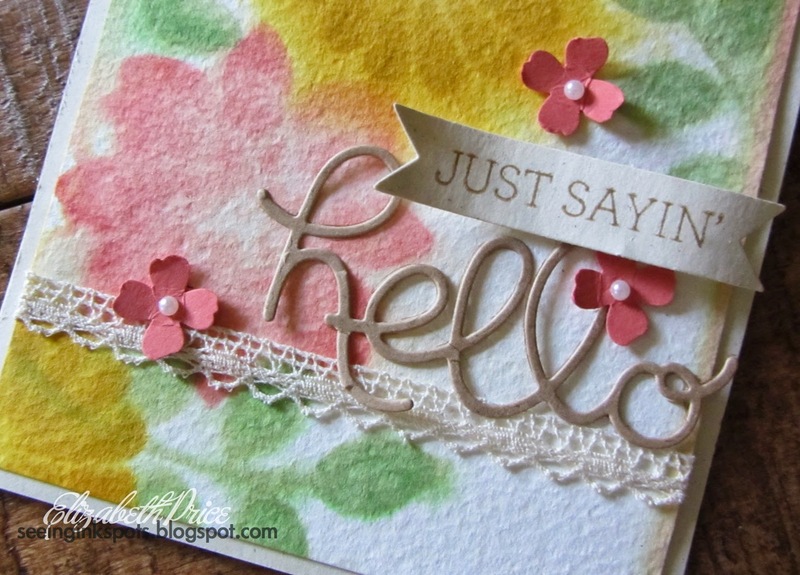 Hello Hand Stamped Sentiments fans! We have a super cool sketch challenge you're going to want to check out. Click on over and see how each member of the Design Team has interpreted the sketch--I've seen them and they are AWESOME. 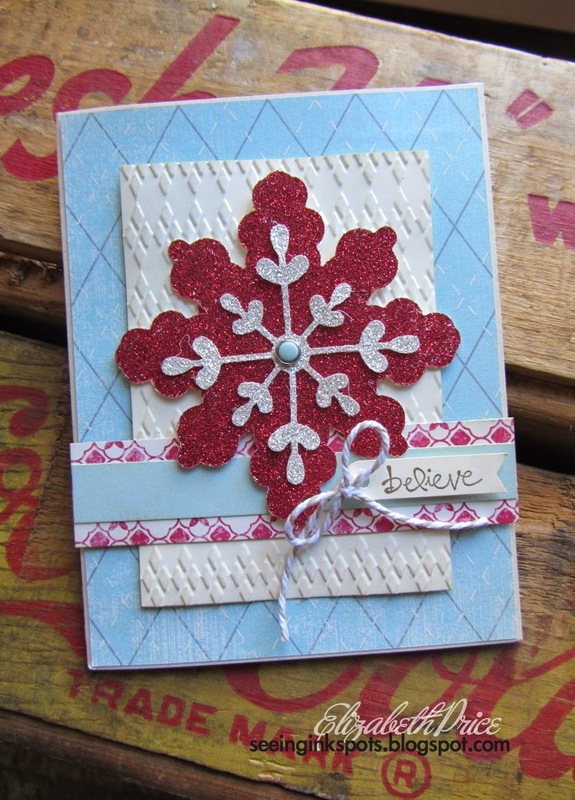 For my take on the sketch I chose to mimic the snowflake by using the Snowflakes Thinlits. 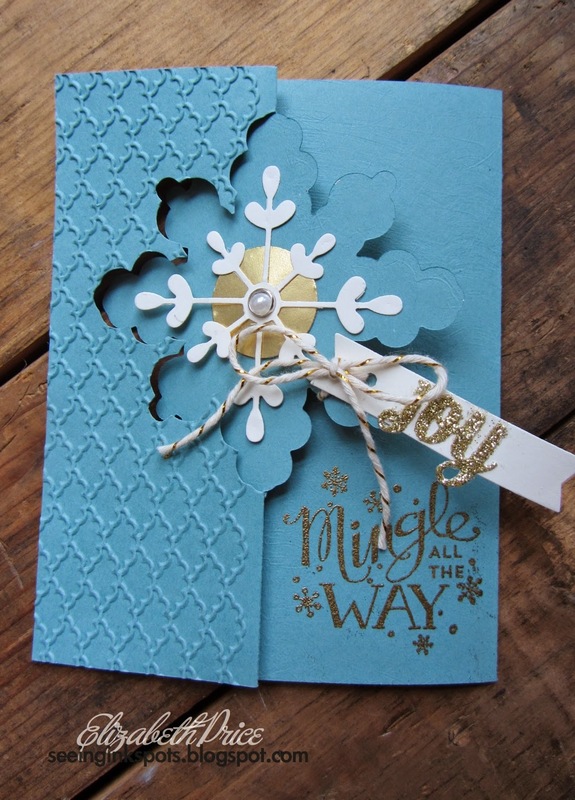 To get the larger snowflake cut a 3 1/2" square piece of DSP or cardstock and place it over the snowflake portion of the main thinlit in the set. 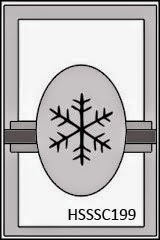 Run it through the Big Shot then reposition the partially cut snowflake by turning it 90 degrees and aligning in the first cuts. Once all aligned run it through the Big Shot again to finish cutting the remaining arms of the snowflake. 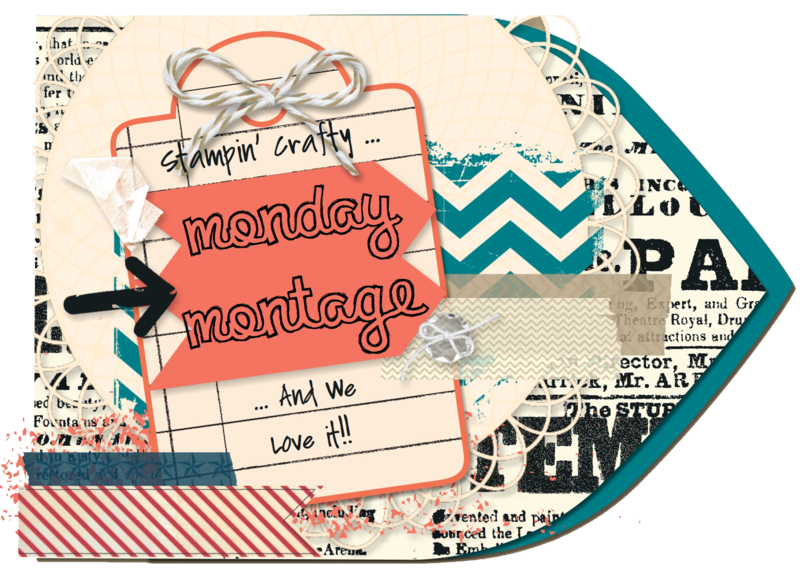 Welcome to another fun, friendly, and fabulous Monday Montage Bog Hop. 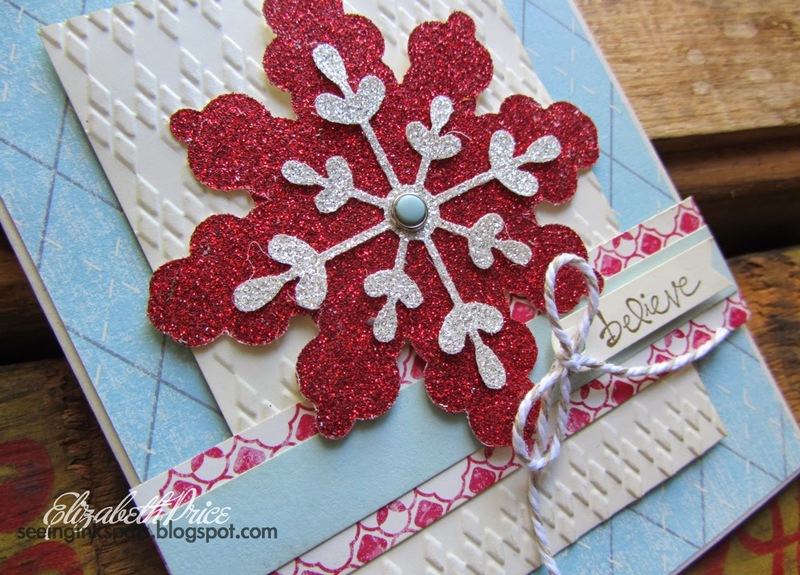 This hop I am sharing my Snowflakes Thinlit card in Real Red and Lost Lagoon. When making cards with the Thinlits I like to add an extra panel. It gives the card a bit more stability and presence. 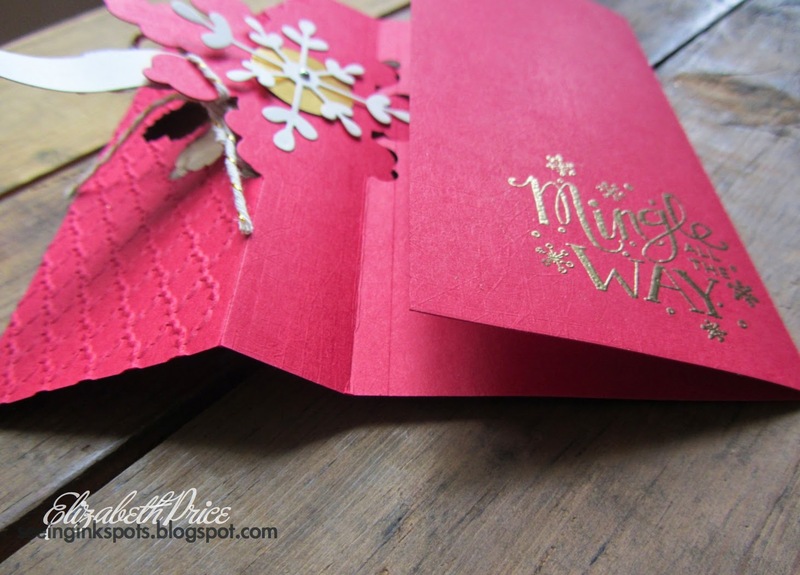 For these cards I included the Mingle All the Way stamp set embossed with gold powder. The time has arrived for a color challenge perfect for ushering in the holiday season. 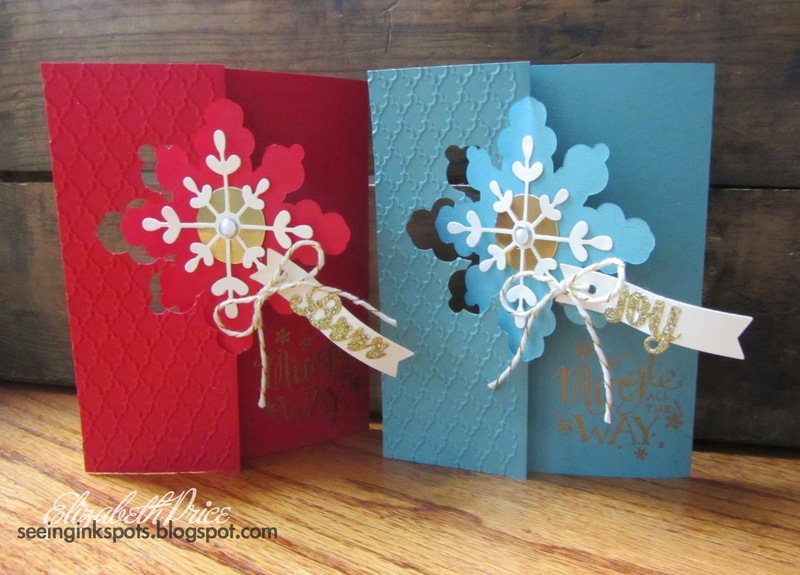 Hand Stamped Sentiments is hosting this inviting trio of colors. 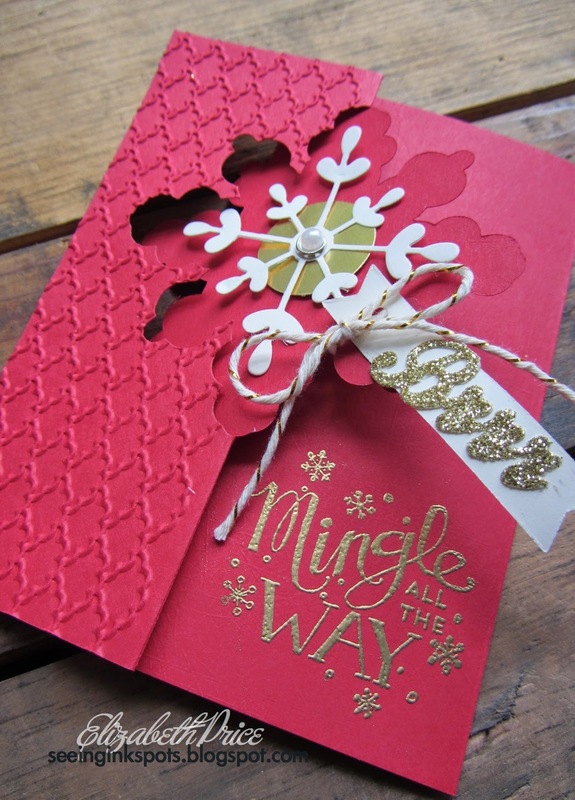 Are you creating projects for the Holidays? Have you used one, two, or three of these colors? 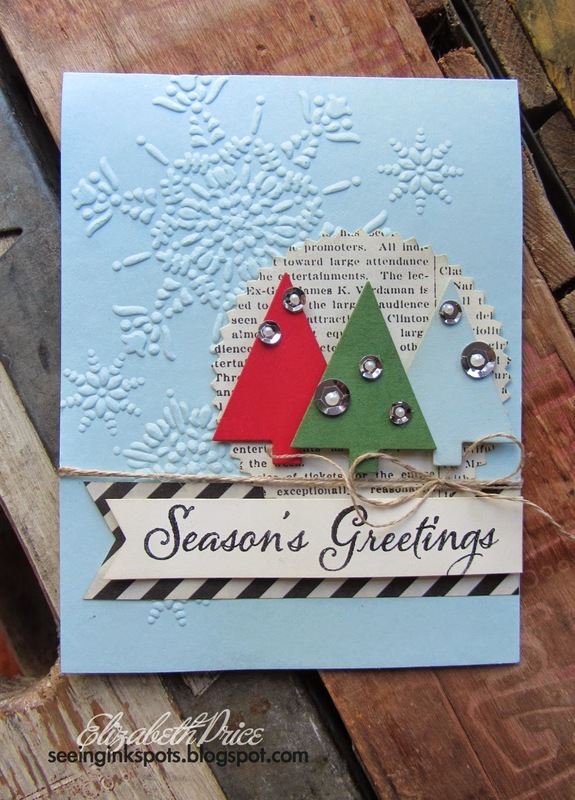 Then hop over to Hand Stamped Sentiments and upload them!